But is this GDP figure remotely relevant? The Chancellor and his cheerleaders would like us to believe it is a highly significant milestone in the country’s slow slow recovery. But the total size of the UK’s economy is not nearly as important as the level of output per person. Because while we may, as a country, be producing as much as we were before the crash, there are now many more of us doing the production. Over two million more, in fact. Our output per person remains well below 2007 levels, which is why our living standards remain depressed. If we were truly back to where we started, we would expect the economy to have grown by at least as much as the population. What practical significance is there in the truth that the total size of the economy is back to pre-crash levels? Absolutely none. This moment is purely symbolic — which won’t stop the government milking it to the full. What have the Romanians ever done for us? 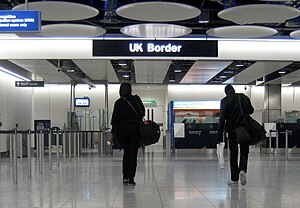 A study entitled “The Fiscal Effects of Immigration to the UK” has just been published by University College London. It argues that recent immigrants are less of a burden on the state than British natives, and indeed have made a more positive financial contribution to the UK than the average local. Welcome news, especially given the hostility to immigrants in certain sectors of the media and British society. However, this is a fiendishly complex subject and inevitably the headline changes dramatically if different factors are included in the calculation. For example, most recent immigrants are of working age, and therefore are more likely to be in employment than all our retired natives. If these immigrants remain in Britain as they age then the state will have to bear considerable future health and pension costs. The study celebrates the taxes immigrants pay now without considering the later benefits they will justifiably claim if they settle here permanently. A crude but common complaint against immigrants is that they “steal British jobs”. Often they are better skilled or more diligent than their native rivals, and employers benefit accordingly, contributing to the UK economy through increased corporation tax, more competitive exports, or cheaper goods and services. If this economic gain from high performance immigrant labour were factored in to the calculation, the net contribution of immigrants would look even rosier. But the fact remains that many of the jobs filled by immigrants would otherwise have gone to British natives who must instead depend on the state. The cost of their unemployment benefits and the loss of their income tax ought to be weighed against the tax contribution of the immigrants who have replaced them. We should also consider what different workers do with their wages. Recent immigrants are very likely to send remittances abroad, taking earnings out of the British economy. The British workers they’ve replaced would have returned a greater proportion of their discretionary expenditure to British businesses (if only the local pub). There is a multiplier effect whereby for every extra pound spent in the UK economy fractions of that pound will be spent and re-spent, with taxes paid to the state each time; similarly, a pound lost to the economy reduces total economic activity by considerably more than one pound. Even if she never claims a penny of state welfare, a Pole who (quite reasonably) sends half of her income to her family in Poland is diminishing UK economic activity (and therefore UK tax receipts) if that income would otherwise have gone to a native worker. This is a highly charged subject, and I should stress that I’m all for immigration into the UK. We benefit beyond measure culturally, intellectually and creatively from all the energetic, skilled and enterprising people who devote their best years to this wet, grey island. But putting immigrants on a set of financial weighing scales to prove their value is dangerous. Too many different truths can be claimed by selectively including or omitting the various complicating factors discussed above. Make the case for immigration on a purely fiscal basis, and you may well find your opponents come up with a more compelling calculation that tells a very different story. It’s Red, Ed, but is it Socialism? Only a few commentators, such as Faisal Islam, think he isn’t. Pretty radical stuff, even if we leave aside the Marxist definition. No wonder the right wing press are up in arms. But what has Mr Miliband actually threatened to do? Freeze gas and electricity prices for 20 months, split up the big energy firms, replace the energy regulator, and give councils compulsory purchase powers to buy land from developers who “hoard” sites with planning permisssion. I’m not saying these are sensible policies if we want to encourage investment in new energy generation or house building, but they don’t come close to the OED’s definitions. The USA, hardly a beacon of socialism, has rent controls and numerous other market regulating devices, and famously broke up Standard Oil and AT&T. As for compulsory purchase powers, they already exist — no one thinks the communists are coming just because the government buys up a stretch of farmland to build a motorway. 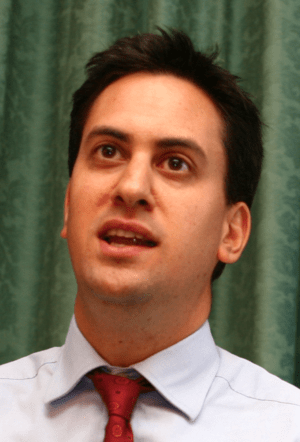 Until Mr Miliband decides to nationalise whole industries (the means of production, distribution, and exchange), or create new government departments with extraordinary powers to tell Tesco, BP and Vodafone how to run their businesses, surely the truth is he’s a million miles from socialism. And yet, he himself says he’s bringing socialism back and plenty of intelligent commentators agree with him. A different, looser, definition of socialism seems to have taken root. It’s as if, in a world where capitalism has so entirely vanquished its ideological rivals, we’ve recalibrated the word to mean anything that departs even mildly from pure free market economics. Does any of this matter? Well, it’s interesting to note that the newspapers which agree with Mr Miliband’s definition — his truth — are the ones that least want to see him elected. Editors and columnists certainly understand the importance of picking the most (or least) favourable truth. Maybe Slightly Pink Ed should follow their example. Proposition: The Germans should bail out the rest of the Eurozone. Rationale: The Germans are richer than everyone else in the Eurozone. Truth 4 is startling, and is best explained by the very low rate of home ownership in Germany compared to other countries, as well as the legacy of East German integration and the smaller average household size found in Germany. Conclusion: The German economy is the biggest in the Eurozone (Truth 1), but aside from a bunch of very wealthy individuals (Truth 2) Germany’s people are not the richest. Looking at Truth 3 and Truth 4 it is easy to see why many ordinary Germans feel thoroughly aggrieved at the idea of having to bankroll the rest of the Eurozone.